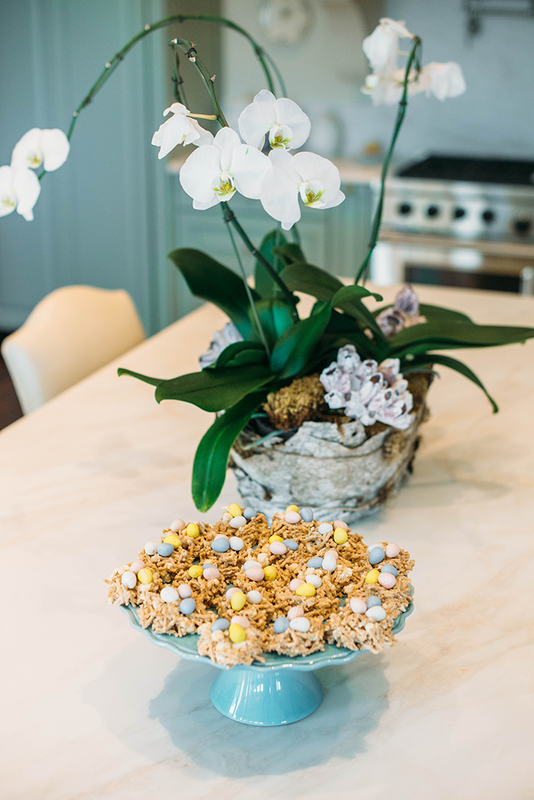 With Easter only a few days away, I thought I’d share a festive recipe! 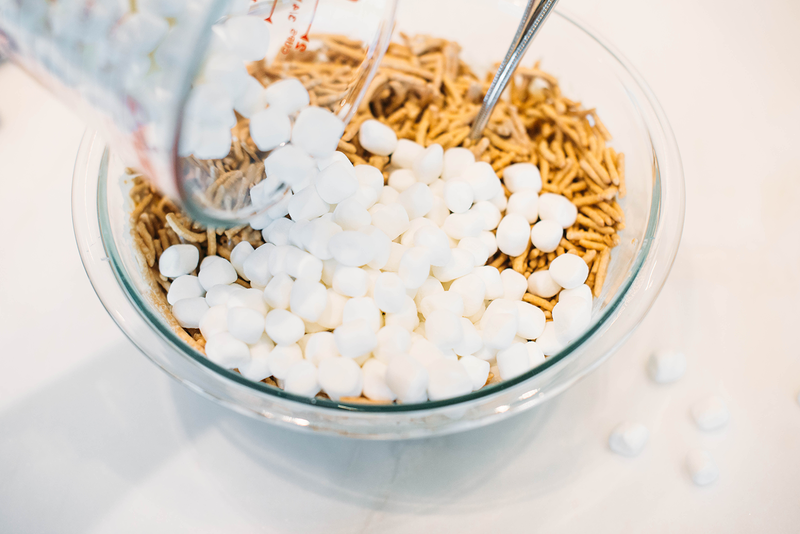 Raise your hand if you remember eating bird’s nests as a kid. 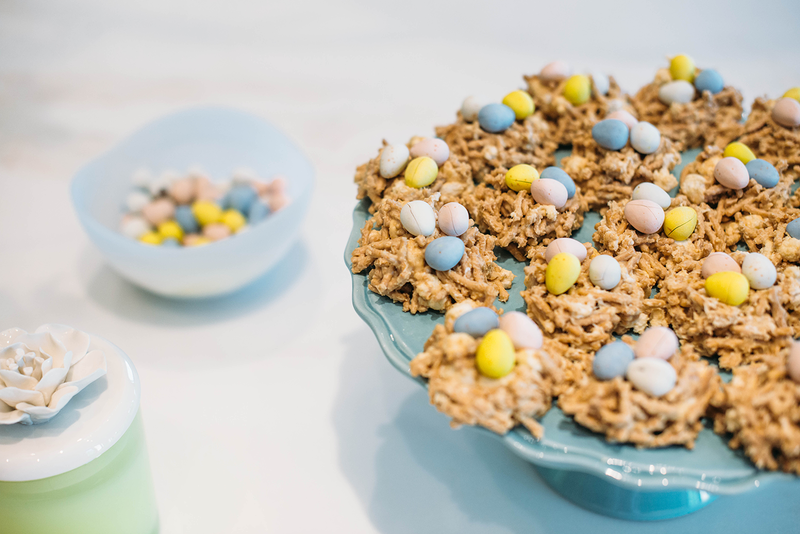 These little bites of heaven are incredibly easy to make and require only a few ingredients. 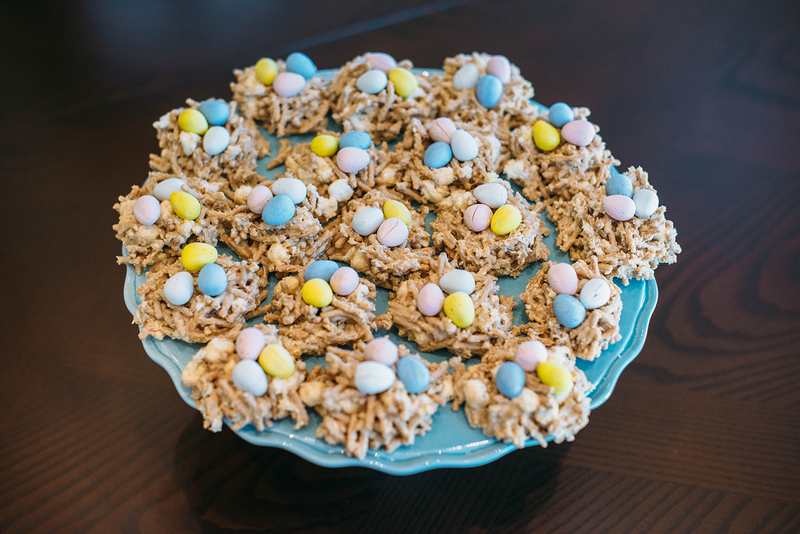 An inexpensive, delicious dessert, these Peanut Butter Bird’s Nests are the perfect sweets to bring to your family’s Easter Sunday lunch this weekend. 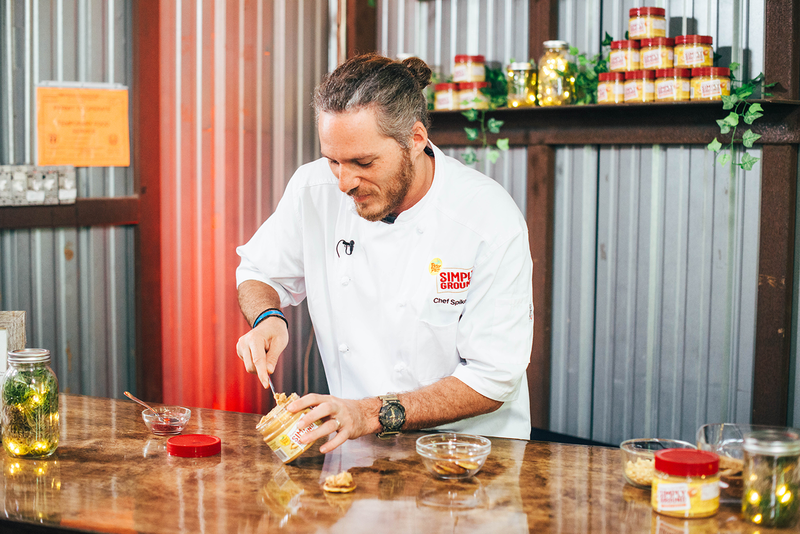 To get the ideal texture and level of sweetness in my Bird’s Nests, I used Peter Pan’s new Simply Ground honey roasted peanut butter. 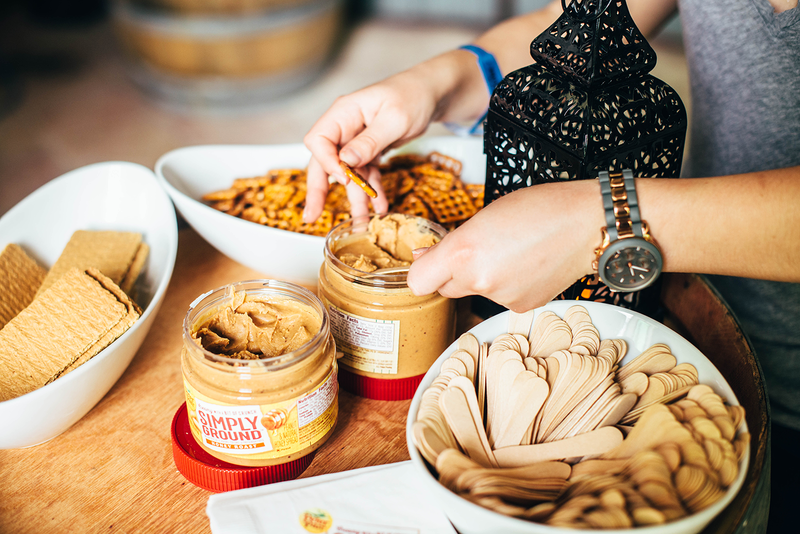 As a person who has grown up putting peanut butter on literally everything, I was elated to try Peter Pan’s newest product. Simply Ground is just what you might expect: simple, minimal ingredients of the highest quality that are ground just enough to get that creamy, but slightly crunchy consistency. It’s creamy enough to spread and use in all of your favorite recipes, but crunchy enough to notice on a PB&J sandwich – the ideal texture! If you caught my Snapchat last week, you may have seen me eating Simply Ground with a spoon… it’s that good. 1. 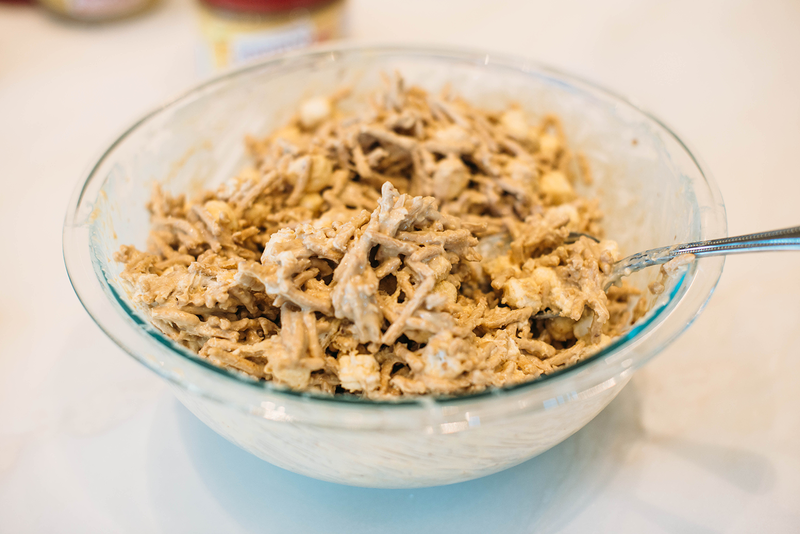 Place morsels and peanut butter in large microwave-safe bowl. Heat in microwave on HIGH 2 minutes or until almost melted, stirring after 1 minute. Then stir until smooth. 2. Add chow mein noodles and marshmallows. Stir until well coated. 3. 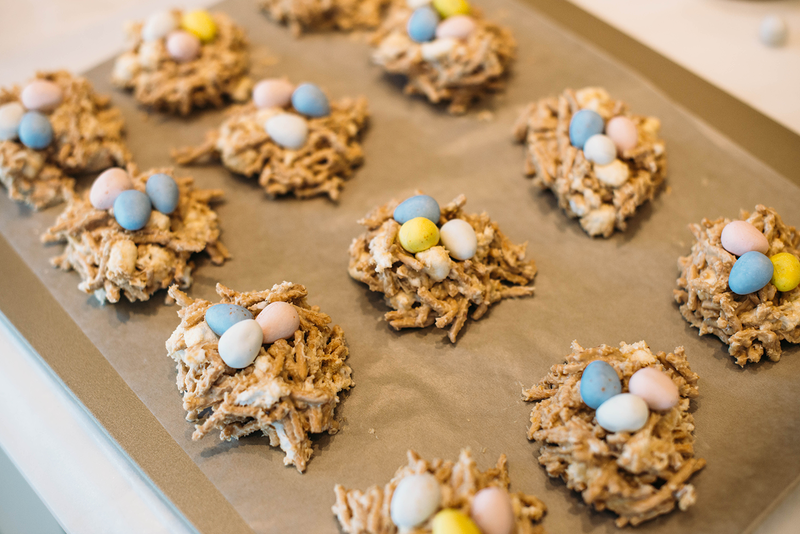 To make each nest, spoon about 1/4 cup chow mein mixture onto waxed paper-lined baking pan. Place 3 eggs in center, pressing firmly to make indentation. Let stand 30 minutes or until firm. Store in sealed container in cool area. 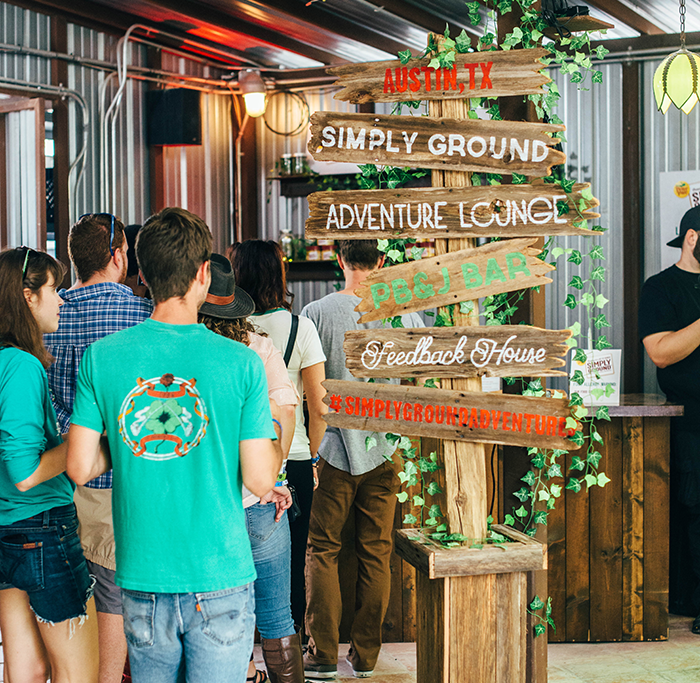 If you follow me on Snapchat, you’ll know how excited I was about checking out the #SimplyGroundAdventures lounge at Rachael Ray’s Feedback house during SXSW! 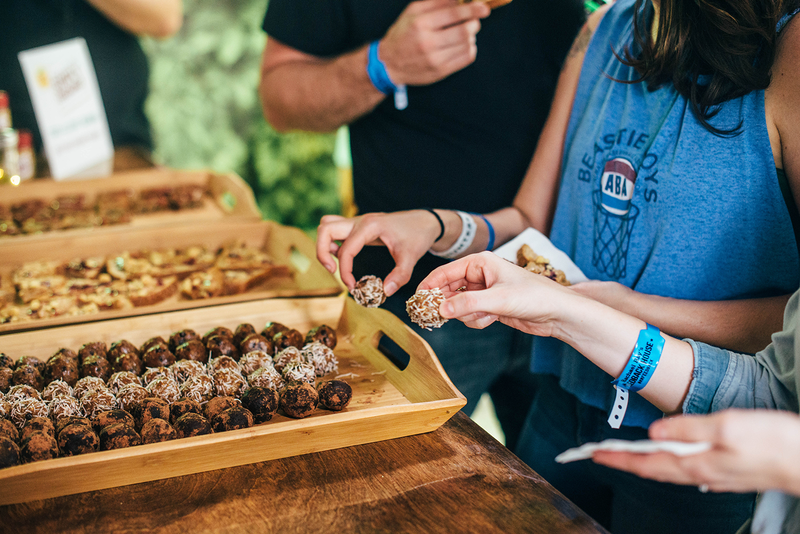 While festival goers came to the house for the many bands that appeared on stage every hour, they stayed for the snacks! 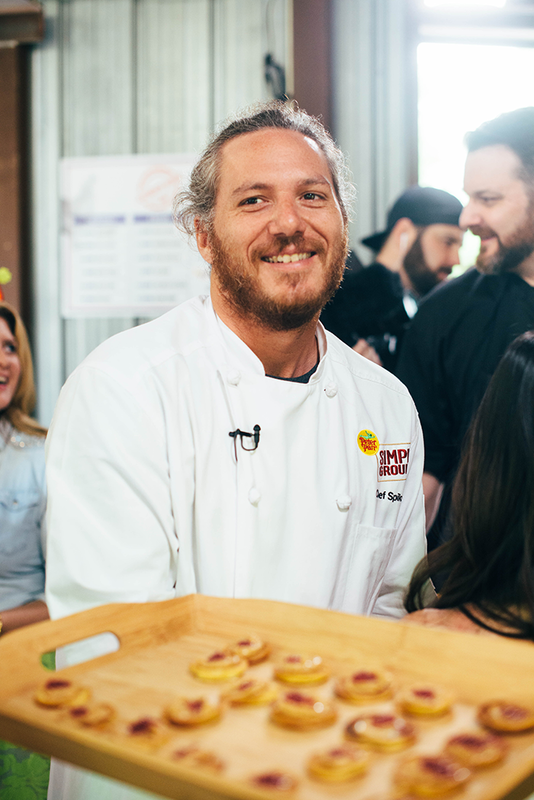 I was lucky enough to attend a media preview before the venue opened and had the chance to see Chef Spike Mendelsohn in action! He prepared a few recipes featuring Simply Ground for us to taste (blinis with grape jelly caviar, anyone??) and shared why he loves the product. 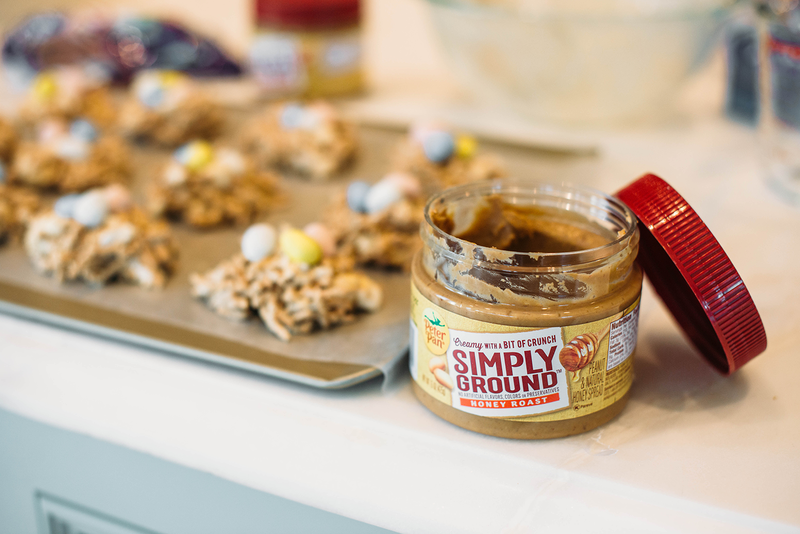 One thing he pointed out (other than the amazing texture + flavor) about Simply Ground is the packaging – unlike other peanut butter bottles you see out there, Simply Ground has a wide mouth top. 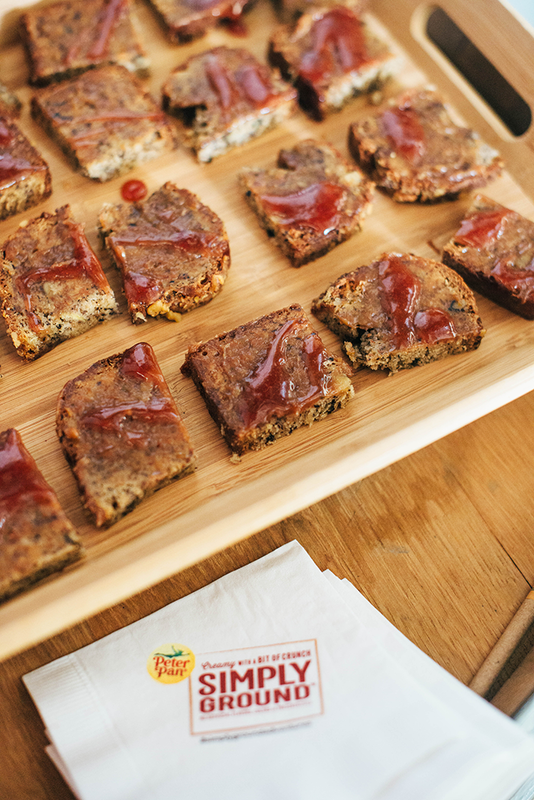 This allows for easy dipping and enables you to get the most peanut butter bang for your buck! He loves to put a jar in his backpack when he goes on hikes or is outside all day. 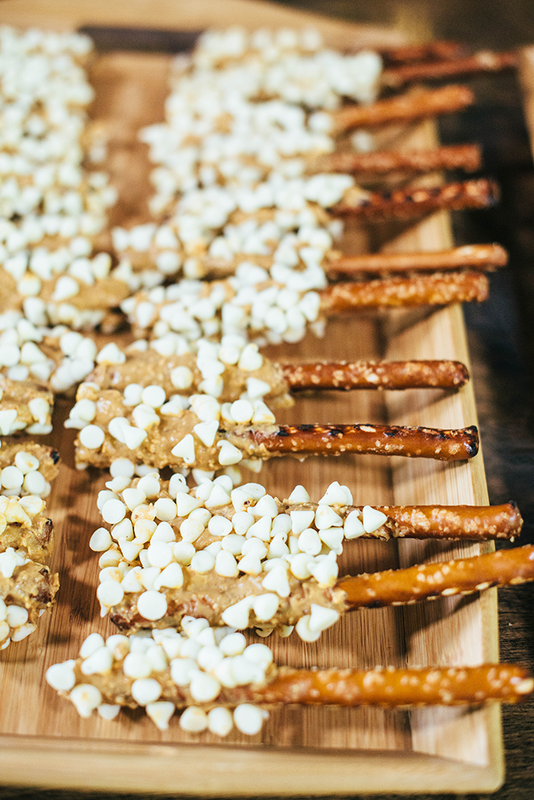 It’s a mess-free snack that packs protein and great flavor! 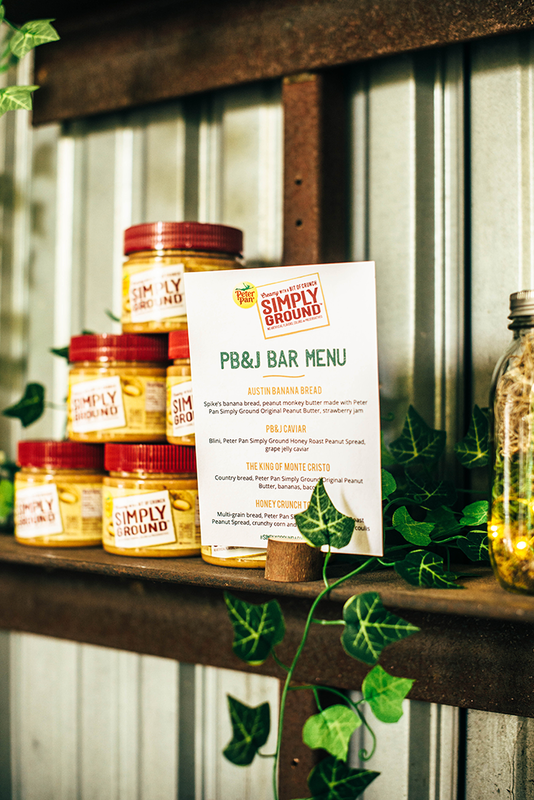 Click here to learn more about Simply Ground and be sure to pop by your local grocery store to pick up a jar today! You can thank me later. These are too cute!! My kids would love these! I totally remember having these as a kid! 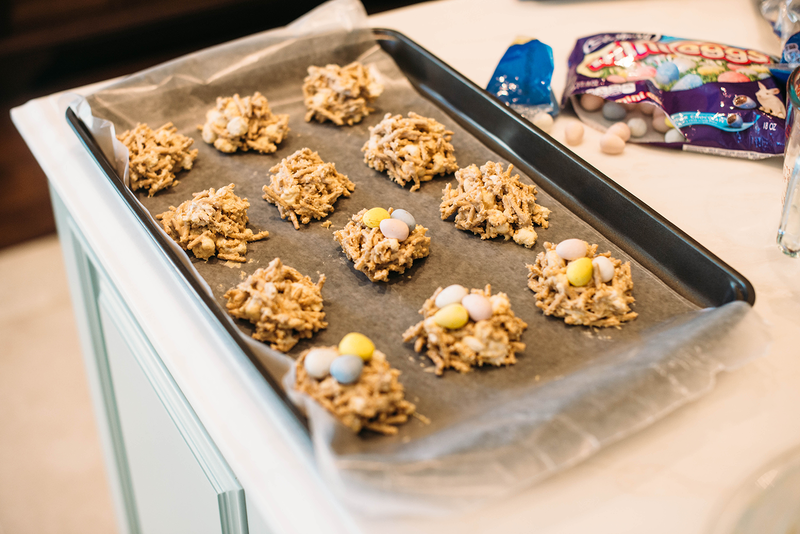 Perfect Easter treat!